FIFA president Blatter congratulates Bengaluru FC - JSW-owned club. Bengaluru FC's historic I-League football title win may have got its most special congratulatory message yet when FIFA president Joseph Blatter conveyed his regards to the JSW-owned club. In a letter dated May 16, and addressed to All India Football Federation (AIFF) president Praful Patel, Blatter asked: "Please pass on my warmest congratulations to Bengaluru FC on winning the I-League championship on their debut season." The letter conveyed Blatter's wishes to all of the players, manager, technical and medical staff as well as the team's supporters as "each part of this organisation have no doubt been instrumental in their club's victory". Bengaluru FC were crowned champions on debut when they beat Dempo 2-4 at the Nehru Stadium, in Goa, April 21. Bengaluru FC chief executive Parth Jindal said the club was pleased and elated with the letter from the FIFA head. "The letter congratulating us means a lot and we thank Mr. Blatter for sending it. 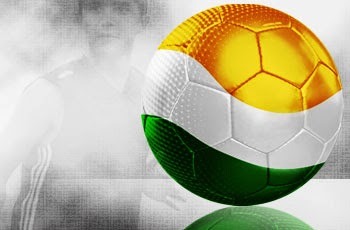 Bengaluru FC will strive harder each day to get Indian football the recognition it deserves," said Jindal. Team skipper Sunil Chhetri said the recognition from Blatter will serve as encouragement to the players. "From being a team no one knew about to becoming a club that the FIFA president has picked out for such a mention says a lot. This is a testament to the hard work put in by every member at the club, on the pitch and off it." Blatter thanked the club for all the excitement it brings to its fans before wishing the club the best for the future.